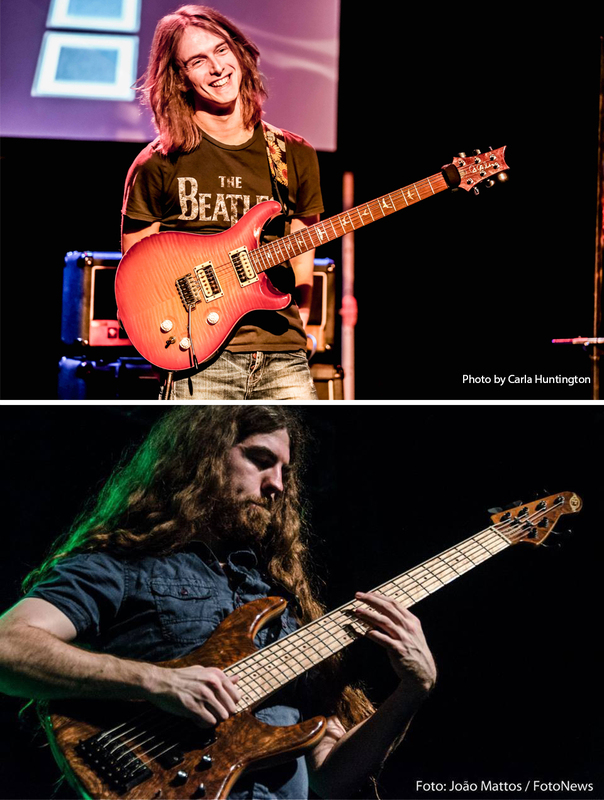 Carl Palmer’s ELP Legacy Band guitarist Paul Bielatowicz, along with Legacy bandmate, bassist Simon Fitzpatrick, will bring their musical virtuosity to the Narrows Center for the Arts in Fall River, Mass., on Saturday, Dec. 20th. They will be joined on stage by percussionist Matt Demick, of Barrington, R.I. Tickets can be purchased HERE for only $20. The trio will perform many songs from Bielatowicz’s solo CD Preludes & Etudes, a representation of the electric guitar as a classical instrument, as well as many of classical music’s most challenging showpieces and some surprising classic rock songs. Bielatowicz has toured the world as a member of both the Carl Palmer Band (Emerson, Lake & Palmer) and Neal Morse’s solo band (Spock’s Beard, Transatlantic), as well as appearing on recordings by Paul Gilbert, Mike Portnoy, Randy George and many others. Bielatowicz has also been a regular contributor for several music magazines, most notably writing a regular column for Guitarist Magazine and other UK based publications, where he has interviewed such amazing musicians as Steve Vai and Joe Satriani, among others, as well as providing transcriptions for Guitar Techniques magazine. UK bassist Simon Fitzpatrick has toured and recorded with Jennifer Batten (Michael Jackson, Jeff Beck), Carl Palmer (Emerson, Lake & Palmer), Joe Lynn-Turner (Rainbow, Deep Purple), Kee Marcello (Europe) and Michael Hill (B.B. King) among others. Not content with simply being in the background, Fitzpatrick has always tried to take bass guitar playing as far as possible. Using all six strings of his extended range instrument, he performs as a lead player, a soloist or polyphonic accompanist. He has recently released his debut solo bass guitar album, Reflections, in which he uses his virtuoso technique to recreate a wide variety of pieces and styles, ranging from classical to classic rock, on one single instrument. You’ve never seen a bass guitar played like this before. The Narrows Center for the Arts is located at 16 Anawan Street in Fall River, Mass. Tickets can be purchased online at http://www.narrowscenter.org, by calling the box office at 508-324-1926, or in person at the venue. Advertisement – Click on the image to purchase tickets.